Today I want to show you a few hairstyles I like to do. I mostly do these for work and they are sosimple. 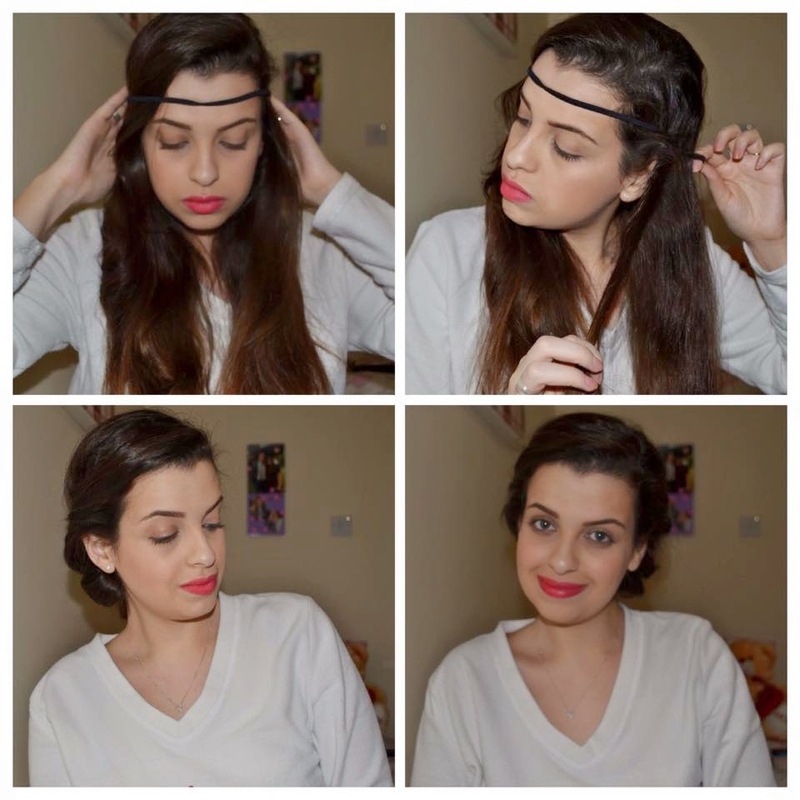 Also, I like working with clean hair; I used Garnier Ultimate Blends- The Shine Revitaliser Shampoo and Conditioner. They leave my hair feeling ridiculously clean and just so shiny. Check them out here. Let's start! 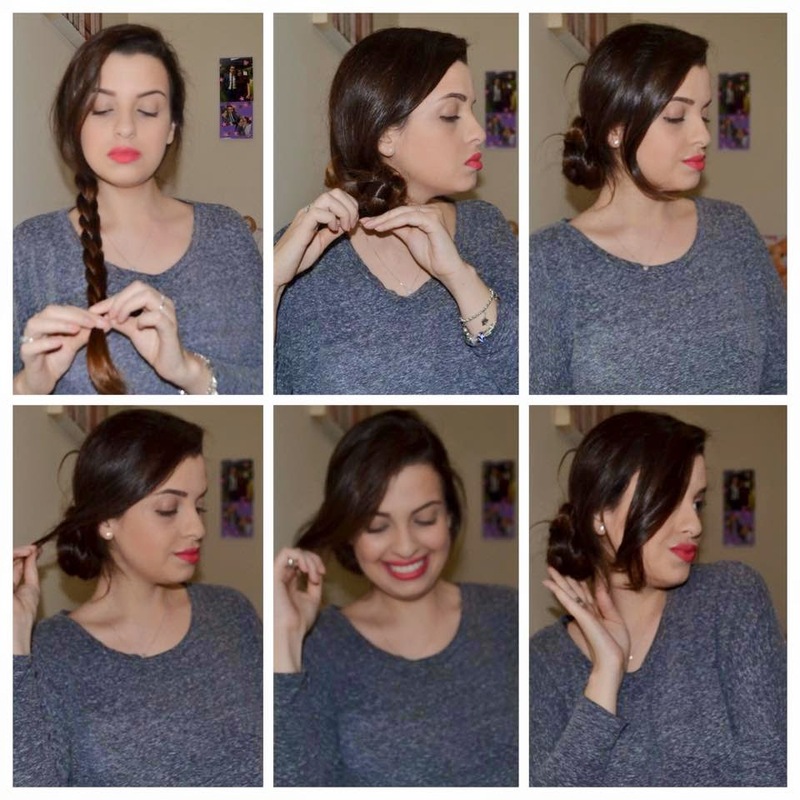 Step 1: Divide your hair as if you were doing a half-up look but you will want more hair in the top section. This will allow you to create more volume later on. Step 2: The bottom section needs to be pulled into a ponytail too. Step 3: Make sure both ponytails are even and that any bumps are smoothed out. 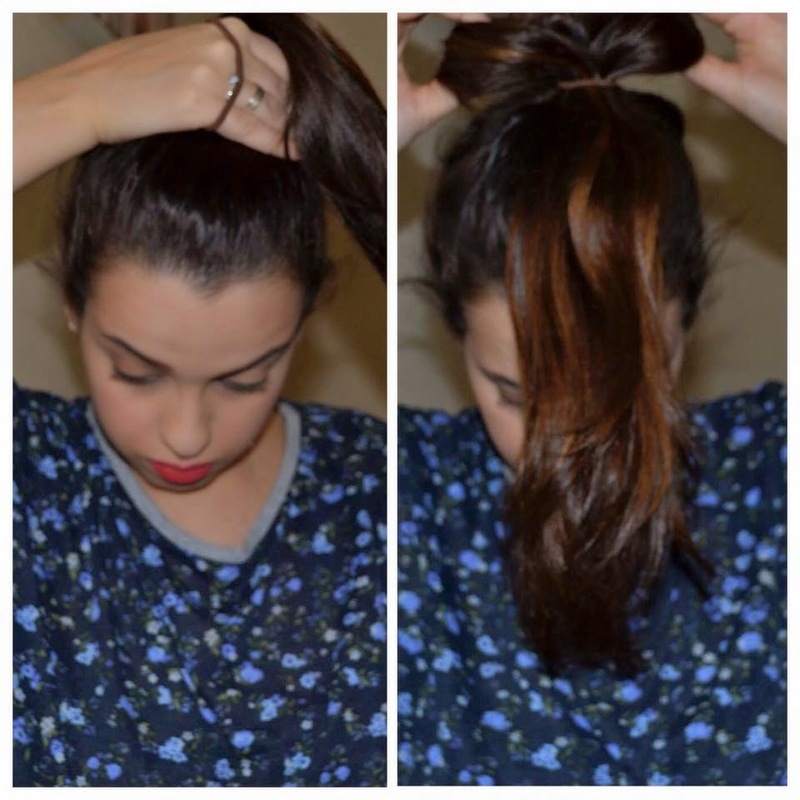 Step 4: You will now want to fluff the top ponytail to cover up the bottom one. I like curling my hair so this is even less obvious. And there you have it! A super long ponytail that will fool everyone! Step 1: Pull all of your hair to one side and divide it into two parts. Step 2: Tie both pieces in a knot. Step 3: Continue knotting to form your knotted braid and use an elastic to secure this in place. 3 easy steps and done! Step 1: Make a high ponytail and pull it through a hair doughnut. Step 2: Secure the doughnut in place and make sure it is covered by your hair. 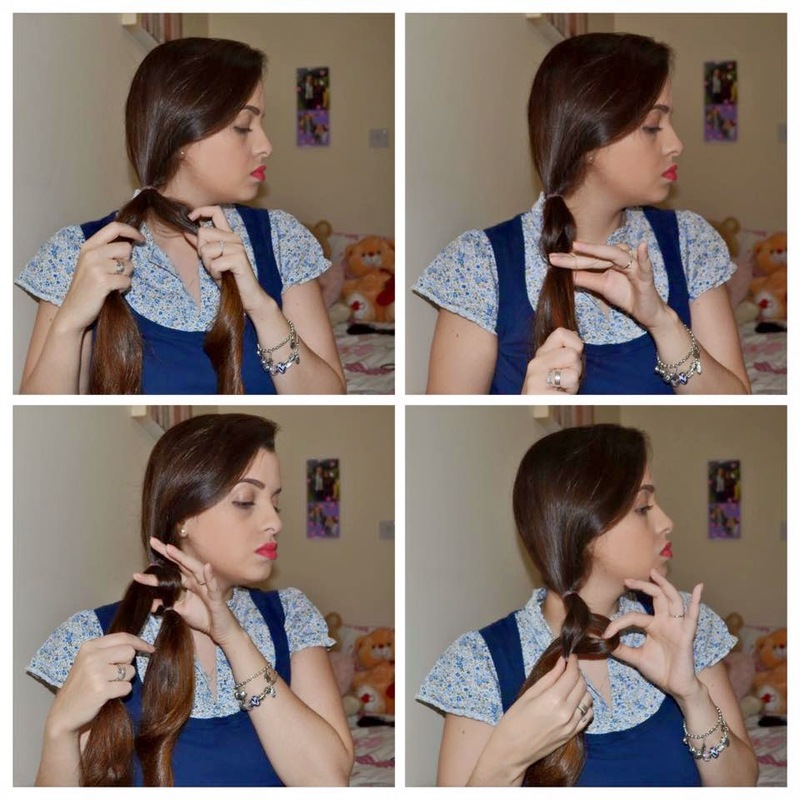 Step 3: With the remaining hair, pull it to one side and start a fishtail braid. Step 4: Once done, secure with an elastic, and wrap it around your doughnut bun. Secure in place with bobby pins. I added a cute headband for a more glamorous finish. Step 1: Pull hair all to one side. 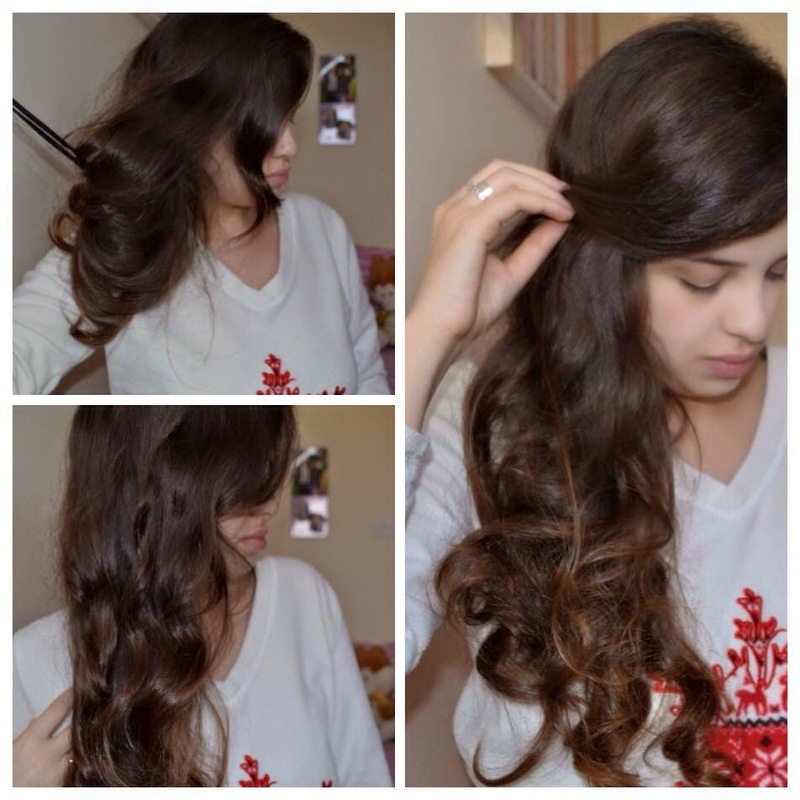 Separate the hair into three pieces. Braid the pieces very loosely and secure the end. Step 2: Roll your braid until you have formed a bun. This can be tricky. Take your time. Step 3: Insert large bobby pins and add a little hair spray to secure the bun in place. So elegant and perfect for date night! Step 1: Pull hair into a side ponytail. Secure with a hair band. Step 2: Separate the ponytail into 2 sections. On one of the sections, leave about 3 inches and add an elastic. Step 3: Make a hole in the middle of this section, and pull through the other section. Step 4: Once again move down 3 inches and place another elastic band. Repeat until you have done the remaining hair. Step 5: To finish, fluff your entire braid to give it a fuller and prettier look. I like using this one on a casual day out! Step 1: Divide hair into 2 sections and braid each of them. Secure each individual section with an elastic band. 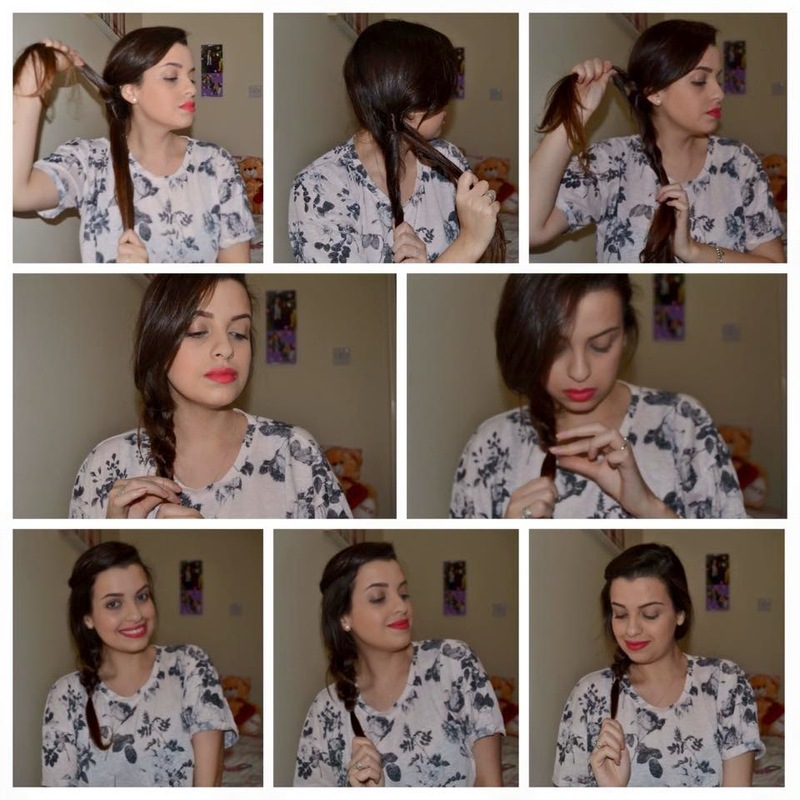 Step 2: Pull both braids to the back and tie them in a knot. Keep doing so until you run out of hair. Step 3: Remove the hair elastics from each braid end and tie the ends of the knot together. 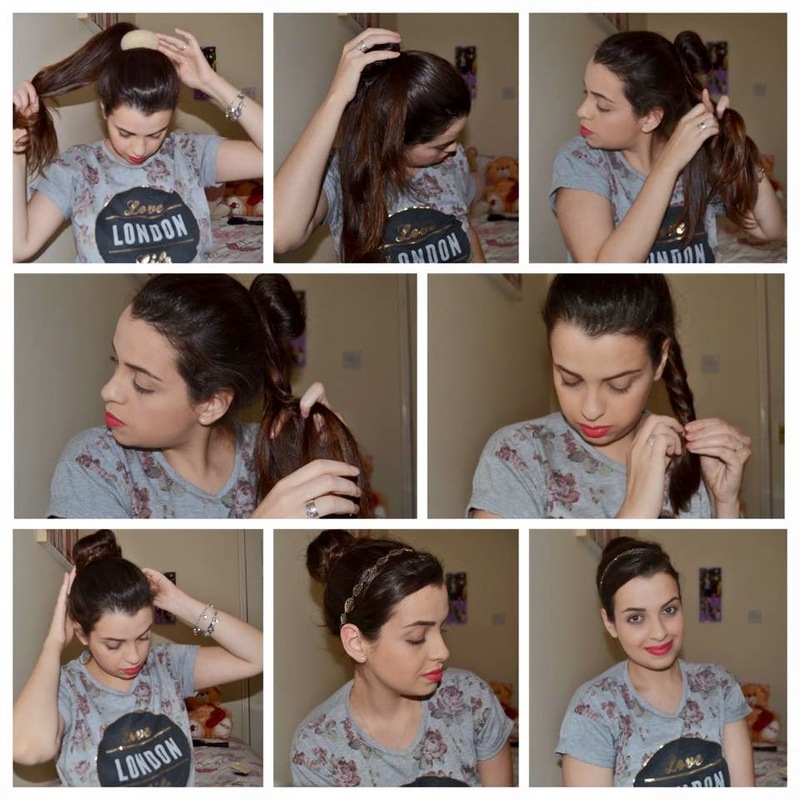 Step 4: Twist the knots into a bun and use bobby pins to secure in place. You can add a cute little flower to cover up any bobby pins! I must confess, this is the hardest for me. But hopefully with the below instructions yours will come out much better than mine. Step 1: Gather all of your hair on the top of your head and make a very high ponytail. Step 2: On the last pull through the elastic, do not pull your hair all the way through. 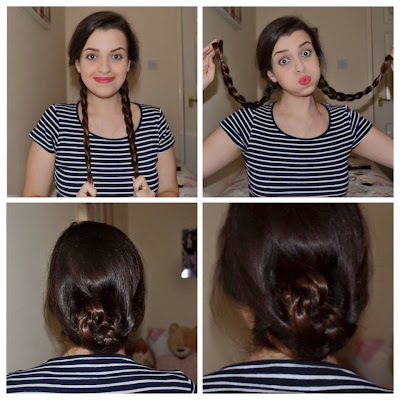 Step 3: Create a loop, leaving the ends of your hair pointing toward your forehead. Step 4: Divide your loop into two halves and take the ends of your hair and fold it back through the space in your halves. This is the centre part of your bow. Secure it in place. Step 5: Fluff up your bow by spreading out the loops. 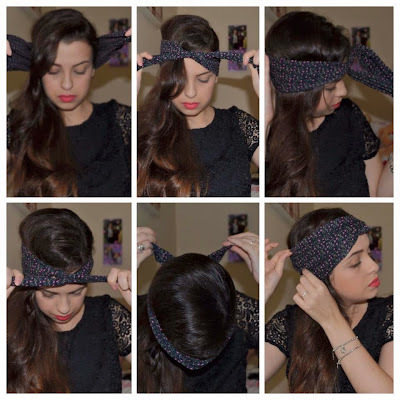 Step 1: Choose a soft elastic headband or a scarf that goes around your entire head. Step 2: Working in sections, wrap your hair around the headband and if necessary, use bobby pins to pin the ends in place as you go. Step 3: Continue until all of your hair has been wrapped around the headband and voila! Super cute for spring, but I use this almost every day for another reason...continue reading! Step 1: Go to sleep with your hair wrapped around the headband. 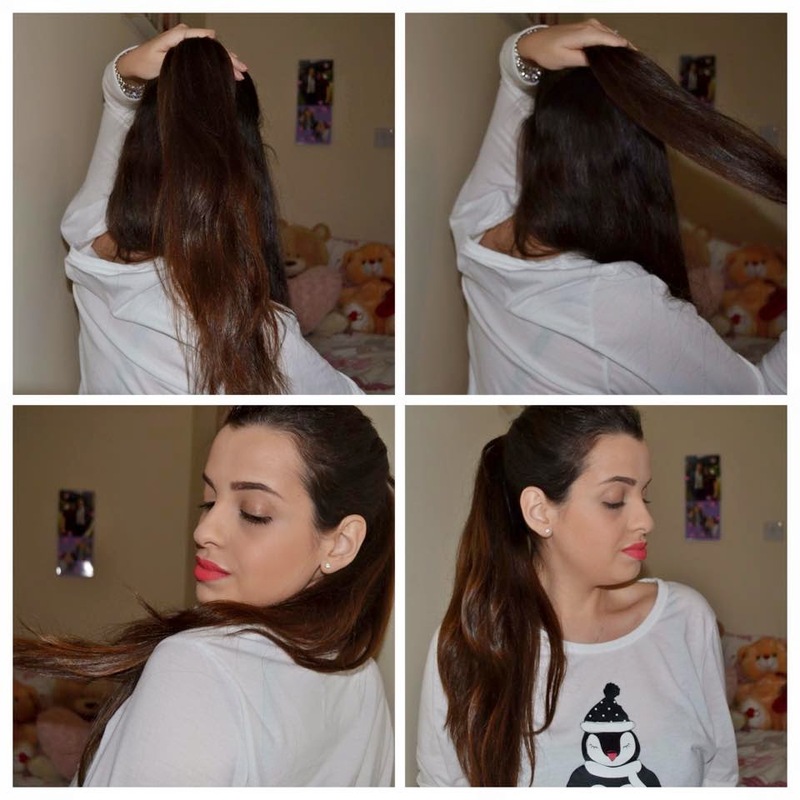 Step 2: In the morning, unpin each section of your hair until hair is completely loose. It may be knotted in some parts, so gently run your finger through your new curls and shake them for more volume. Step 1: Place your scarf against the back of your head. Step 2: Bring the ends to the front and tie a knot in the middle of your forehead. Step 3: Twist the ends once or twice, and bring the ends to the back of your head, where you should tie them up. Step 4: Hide the ends of the scarf on the back and adjust the sides for a thicker turban. This was a big hit when I wore it for the first time. It is very different, and a little bit out there but perfect for a dirty hair day! I hope you guys like these looks and that you try a few. Thanks for reading beauties! Pam!! I loved Your Blog.. Eh maravilhosoooo!! Parabens ..Super Animada pra Ver seus Videos no Youtube Eiim! !